Sulprint launches an innovative project in the area of communication in their packaging, aiming to reach a new group of consumers for its customer base. This technology will differentiate the company in the market that represents 6.5 million consumers in our country. 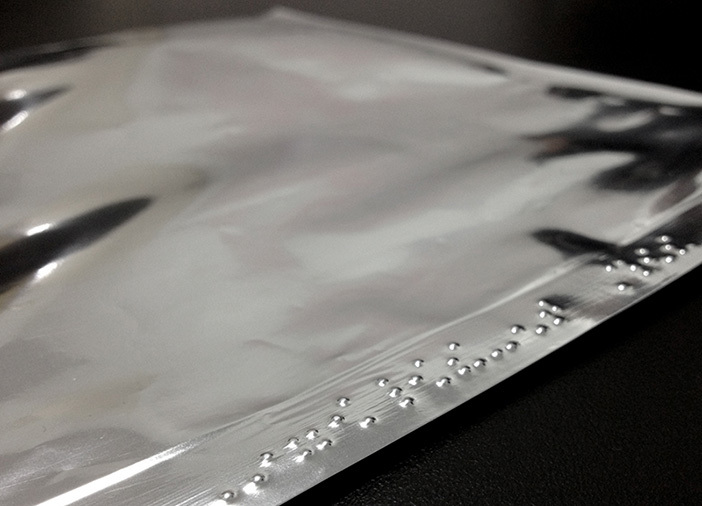 With the vision of offering solutions for its customers, and by consequence, for the population, Sulprint developed the application process in braille for flexible packaging. The aim is to offer people with visual difficulties the condition of choice and autonomy both at the point of sale as in their homes. The braille system takes advantage of the epicritic sensitivity of human beings, the ability to distinguish in small digital pulp positioning differences between two different points. An experienced blind person can read 200 words per minute. Today you can already see the application in carton packaging, but Sulprint is the first company in Brazil to apply braille in flexible packaging. According to the world health organization, the leading causes of blindness in Brazil are cataract, glaucoma, diabetic retinopathy, macular degeneration, and blindness. Out of the total Brazilian population, 23.9% (45.6 million people) reported having some type of disability. Among the shortcomings reported, the most common was visual, reaching 3.5% of the population. Then comes motor problems (2.3 percent), intellectual (1.4%), and auditory (1.1 percent). Other 29 million people claimed to possess a permanent difficulty in seeing, even while wearing glasses or lenses.